Have you ever been on an awkward first date? I know. That’s almost like asking if you’ve ever been on ANY first dates. First dates are tough. Expectations are often high. There’s an air of excitement, but there’s anxiety, too. You want him to like you. He wants you to like him. Both of you are showing a bit of nervousness, and that doesn’t really set the stage for mind-blowing conversation. There are a gazillion articles online and in the pages of women’s magazines full of first date advice. Everything from fashion choices, to makeup, to topics you should always/never bring up. But what if I told you there’s one thing you could do that would immediately build trust and a sense of closeness? Researcher Ayelet Fishbach recently concluded a study[i] that reveals a surprising secret to fast-tracking rapport. And here’s the twist. It has nothing to do with how you look or what comes out of your mouth. It’s all about what goes INTO your mouth. Believe it or not, eating the same foods with someone creates a legitimate social bond. 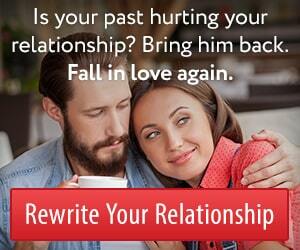 That’s got to be the single easiest way to help a first date along. And I have two suggestions for how you can put this inside knowledge to work. My advice is simple. There are just two tips. What to do and what not to do. DO: Have the same drink, or share an appetizer or dessert. When the waiter stops by your table for the drink order, just say you’ll have what he’s having. Now you’re sharing food and the connection building can begin. But what if he orders beer and you can’t stand the taste of it? Then go solo for your drink, but suggest splitting an appetizer. That will start the meal off with a nice sense of bonding. If you want to close out dinner with another push toward better rapport, ask him to share a dessert. Super easy, right? But there is one thing you should avoid. DON’T: Split (or worse) help yourself to HIS meal. Drinks, appetizers and desserts are one thing. The main course is something else. Some guys get really annoyed when a date starts snagging food off his plate. Instead of building connection, that can send the message you don’t understand boundaries. If he offers to share, knock yourself out. Otherwise, stick to your own food for the entrée. I know it sounds like a small thing, but the data is clear. Eating the same food really is enough to help bridge that first date awkwardness. Add this little trick to your arsenal of social hacks. 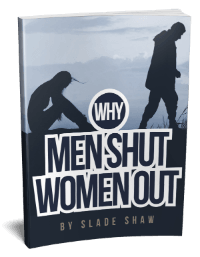 Use it on first dates and any other time you need help building rapport. This entry was posted in Dating, How To and tagged first date, good first date by James Bauer. Bookmark the permalink. That’s really interesting! 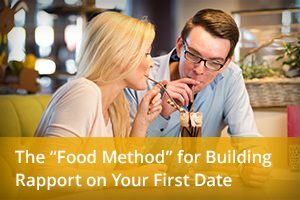 I had no idea eating the same food or drink could help strengthen a relationship. The guy I’m dating and I each had a Caesar at lunch a few weeks ago, I wonder if he knew about this subliminal connection.